For the gastrointestinal system to function smoothly, we have chosen spasmolytic herbs that reduce stomach cramps and spasms, as well as herbs that reduce swelling and bloating. 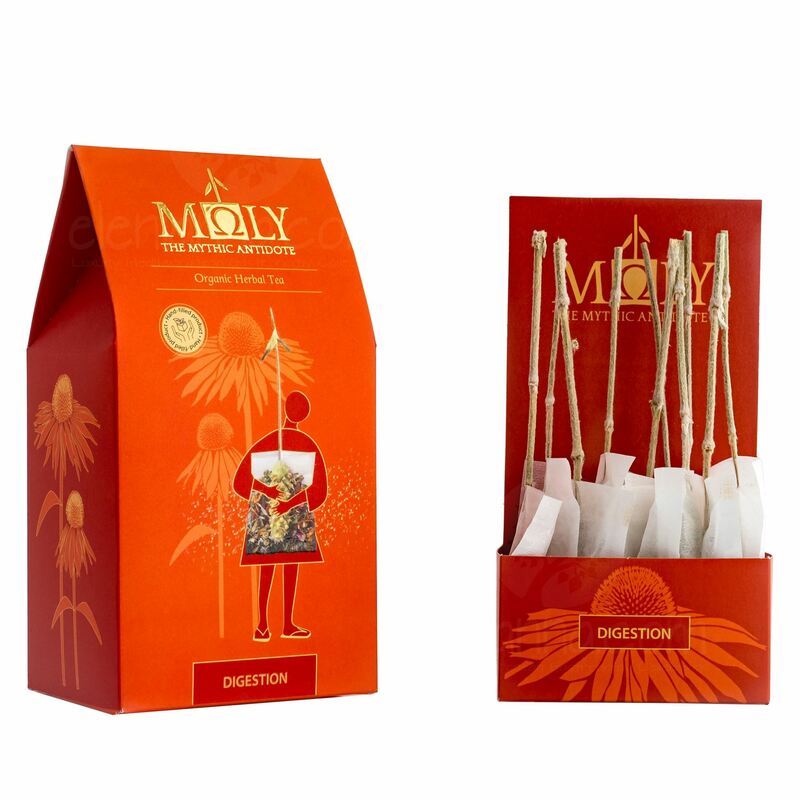 The Moly Digestion blend also includes anti-inflammatory and anti-microbial herbs that reduce inflammation and diminish microbe populations, possibly the cause of such disturbances. By using herbal substances that not only help in the digestion of food but also in regular bowel movements, the body self-regulates and more efficiently absorbs the nutrients from the foods consumed. Mt. Olympus ironwort, Dittany of Crete, Chamomile, Fennel seeds, Magnolia berries, Carob, Liquorice, Ginger.